Rebuilt fusing assemblies for HP and Lexmark laser printers are a major part of what we do at Liberty Parts Team. Here is why we stand apart from the competition. Everything that ought to be replaced is replaced. After months of comparison testing, we select the best fuser sleeves and other components. After additional months of testing we make the rebuild available to the customer. Liberty Parts Team tests and inspects every fuser and every printer part it remanufactures. This helps explain LPT's low warranty rate. 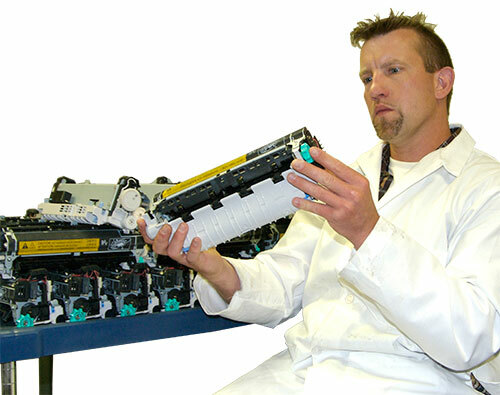 Many of our competitors outsource their fuser rebuild operations to other countries. Not Liberty Parts Team. All LPT rebuilds are remanufactured in Madison, Wis.
Our rebuild staff have seven years experience on average while our QC team averages more than 10 years. 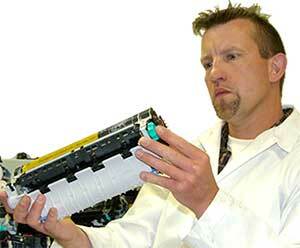 Rebuilt fusing assemblies for HP and Lexmark laser printers are a major part of what we do at Liberty Parts Team. Here is how we stand apart.